The new fountain that is now filled with a garden on the Plaza. Photo Courtesy of Bailey Smith. The Fountain situated between the Hall Activities Center and the Boyd Campbell College Center, changed into a garden in early August. This landmark was famous for its purple dye on important days: football game day, Major Madness and other events prompted the administration to make the fountain boast a brilliant Millsaps purple. The celebratory purple fountain is now a thing of the past, however, after as the fountain has been filled with dirt and plants. The transformation of the fountain was not an aesthetic choice, but a maintenance one, Vice President of Finance Dan Hungerford explained. “…The pipes underneath the fountain broke, and started leaking out,” Hungerford said. The damage to the fountain from the bursting pipes was extensive, requiring the complete removal of the bottom of the fountain, replacement of the pipes and reconstruction of the entire structure. Despite the extensive repairs, Hungerford said that such a project could be completed in about a month, which pales into comparison to the other year-long reconstruction projects happening on campus. However, the problem is insurmountable monetary one. “We had one quote that was $80,000 just to get underneath and repair and then put it back, and then we probably had, by the time you put all the parts together, we probably had another $5,000 or $10,000,” Hungerford said about the cost of the project. “It came to a point where you were looking between $80,000-$100,000 to put it right back together correctly. This seems like a pittance compared to the thousands of dollars being put simultaneously into the Christian Center and Visual Arts Center, but these projects are donor funded. Despite the fame of the fountain, no donors have stepped forward to support its repairs yet. It does not seem that this will change anytime soon. Despite the varying opinions from students, it appears that the fountain’s new look is here to stay for the time being. “You’ve got the big priorities: you’re building the Christian Center, you’re building the Visual Arts Center, you’re also looking for other upgrades. So, no, we’re not actively looking [for donors for the fountain],” Hungerford said. 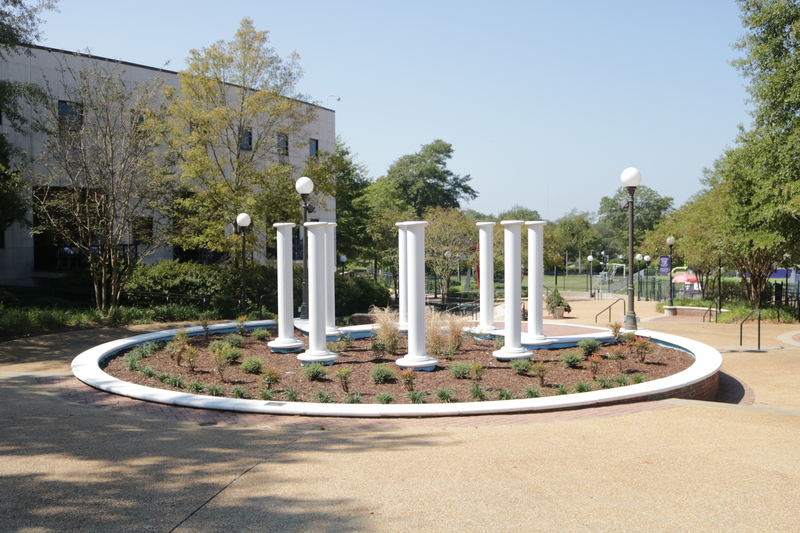 Although the future of the fountain seems bleak, Hungerford did say that Millsaps would be willing to approve the project if a donor stepped forward. Until then, however, it would appear all that students can do is research a way to safely dye dirt purple.